and enjoy 2 weeks free! We have amazing Corporate Membership benefits to keep your employees healthy and provide a great environment for team building skills. CLICK HERE for more details on corporate wellness! If you’ve been on the fence about fitness, it’s time to jump off. Fitness is crucial to living a healthy lifestyle, maintaining quality of life, and extending your lifespan. Exercise has been shown over and over again to improve your cardiovascular health, keep your bones strong, and keep your weight at a healthy level for your frame. Balanced Fitness and Health, a Top Rated Local® Gym in San Diego, offers several levels of membership to suit your individual needs. Contact us today to get started. Three one on one training session monthly with a master trainer to get the ultimate result in your goals achieved. Accountability. When you join a gym, you are putting your money where your mouth is. You have incentive to show up (since you’re paying for it). You have a warm greeting when you walk in the door (since we know all of our members’ names) — And if you sign up for personal training, you have an appointment to keep. Drag your best friend along with you to increase the fun and the accountability. What do you have to lose? Increased energy levels. 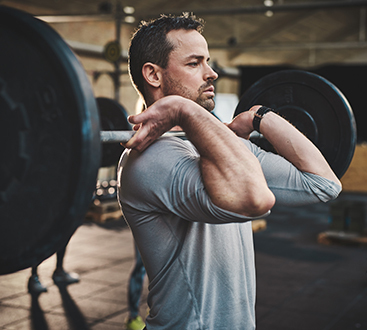 Sure, you’ll be tired after your workout, but as your body gets accustomed to your new workout routine, you’ll see your energy soar in all areas of your life. You’ll have more energy on the weekends to take your kids to the park, to walk your dog for miles, and to hang out with friends later than normal. You’ll be in a better mood as you are able to do more and accomplish more than previously. You’ll feel accomplished — something we all want in life. Stress relief. Virtually all forms of exercise provide stress relief. Exercise reduces tension in the body, increases endorphins (the feel-good chemicals that elevate your mood), and improves sleep quality. Learn what you like and don’t like. Due to the variety of exercise equipment and fitness classes, you’ll be able to sample a wide variety of exercise modes and find what works for you. The key to maintaining a fitness program long term is finding what you like to do and do it! Learn from professionals. Balanced Fitness and Health offers personal training sessions (some are included when you sign up for membership) with a certified personal trainer. Personal trainers are a wealth of knowledge, both on exercise and nutrition. You can pepper them with questions, ask their opinions on certain exercise routines, and get a great workout session to boot! Get healthy. Most of don’t want to compete in the Olympics or the CrossFit Games. But we all want to be healthy. With exercise, you’ll gain heart health, lose weight, prevent dozens of health conditions including osteoporosis and diabetes, and improve muscle strength, balance, and flexibility. Without exercise, you can’t be in optimal health. Balanced Fitness and Health in San Diego is passionate about getting you physically fit. 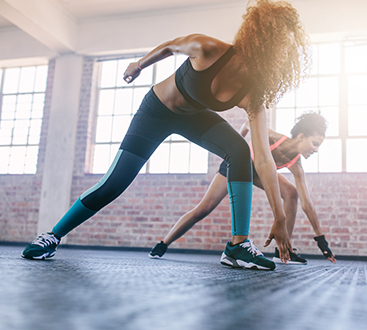 We offer affordable gym memberships to meet your needs, personal trainers who care, and a variety of group fitness classes to match your hectic schedule. Our group fitness classes include Zumba, Spin, and instructor led group training. We also offer weight training group fitness classes, such as kettlebell classes, R.I.P.P.E.D, and Pure Strength. Yoga classes are also offered. We offer nutrition consultations, so we can show you how to eat for life. Not to mention we boast a state-of-the-art fitness facility for your use. Contact us today!